Well, Harry Potter couldn't go on forever, even though we all wished very much for that exact thing. It ended six years ago and the actors lifes had to go on. But what have they done since? Our lovely Daniel Radcliffe, the boy who lived, the boy we grew up with, have done several movies after HP. Let's take a look at some of them! So, most of us know that the famous Harry Potter is played by the even more famous Daniel Radcliffe. He spent as much as 10 years of his life being a part of this amazing movie series, we got to see him grow from a cute little boy to an extremely good looking man! But, all good things must come to an end and in 2011 the last Harry Potter movie, of the original series, came out. Daniel was only 21 at the time so it was given that he was gonna go and be a part of other amazing movies, thank god for that. He’s been a part of as many as 10 movies and one mini series in the last 6 years, some of which are more popular than others. Some of my personal favourites and the more popular movies are as follows. 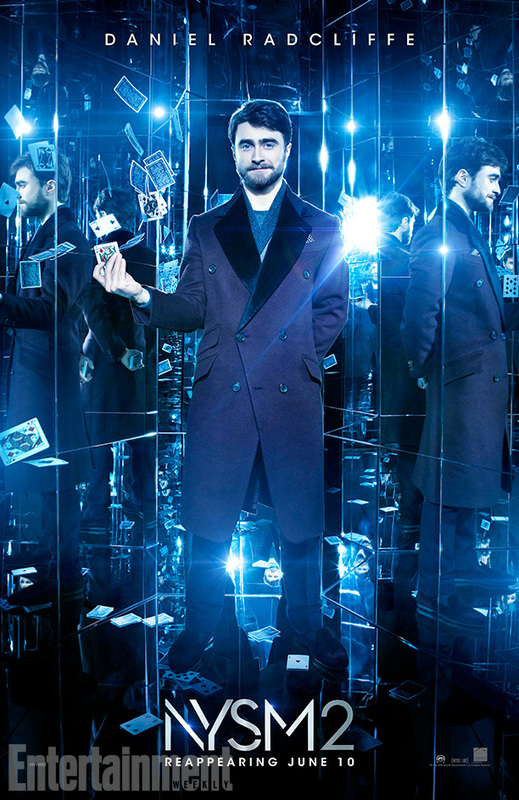 “Now you see me 2” where he plays a magic fanatic called Walter Tressler working with/against the horsemen to pin down the leader of their group. Although he does not do any magic in this movie there are 4 people who does the horsemen, they are a group of magicians who reveal rich/famous people for what and who they really are, Walter Tresslers father was one of those. Now he seeks revenge by acting as he wants to work with them when he intact is working against them all along. This movie received a IMDB score of 6.5 stars! Not bad Daniel! Next up is “Viktor Frankenstein” as much as we would love to see Daniel play Frankenstein the mad scientist that is not the case here. 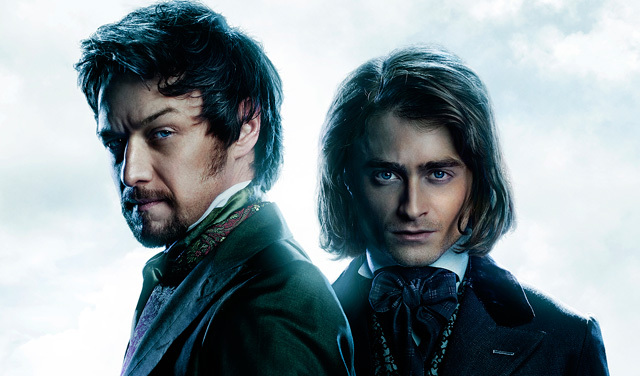 In this movie Radcliffe plays as a hunchback on a circus without a name, it’s first when he meets Viktor Frankenstein and becomes a doctor he goes by the name of Igor Straussman. Together they try to create life beyond death. This movie got a IMDB score of 6 stars, not as good as NYSM but still an absolutely amazing movie and I recommend everyone to watch it! 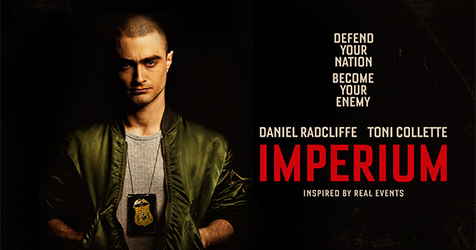 Imperium is a more adult movie, in this movie Daniel plays an FBI agent called Nate Foster that goes undercover as a skinhead and joins a group of Nazis only to try to get them all in jail. Although this is a very good move I must warn you guys, it is an adult movie and Daniel is not the same cute, innocent boy that we’ve come to know through Harry Potter. There is an age limit for 17 years old which says a lot. But this movie received a 6.5 stars from IMDB! This is one of his best movies in my opinon (Besides Harry Potter of course). Daniel Radcliffe was also a part of the movie “Kill your darlings” in 2013 a movie about a murderer who draws together the great poets of 1944, Allen Ginsberg, Jack Kerouac and William Burroughs. While on set Daniel met his current girlfriend Erin Darke. They have been dating for 5 years but apparently no engagement is in sight… Common Daniel! You’re the boy who lived! Put a ring on that finger! Harry Potter, the boy who lived. - Written by Ellie Lionheart.